Modern vehicles are equipped with a lot of sensors and computers to manage basic car controls automatically and precisely. That helps in better gas mileage, smoother, comfortable and a safe drive. Almost every modern car now has a sensor called the TPS and an accelerator pedal position sensor. As the name implies, these sensors are precision devices which determine the position of the accelerator pedal. The impact of a failing accelerator pedal sensor is pretty much obvious as it directly affects how the car drives, responds to the pedal and gas mileage. If any of these symptoms occur or you experience your car isn’t responding to your pressing of the gas pedal as accurate, you should pull over immediately and call a mechanic. Here are some symptoms which you can look for an experience if your car’s accelerator pedal sensor is faulty or completely dead. This symptom is easy to detect as every owner eventually gets familiar with how their car responds to pressing the gas pedal. If you feel that your car is hesitating to move, your accelerator pedal sensor could be failing. In such a case, it is advised to pull over immediately and call a mechanic since bad pedal timing can prove to be fatal. The optimal RPM of a car engine is around 600 to 700 rotations per minute. At these RPMS, the engine idles smoothly without shaking and consumes little fuel. If you experience that your car is unable to idle smoothly, a bad accelerator pedal sensor could be the reason besides the fuel mixture. If you experience that your car is only able to accelerate unto a point and won’t go faster beyond that speed, your accelerator pedal sensor is not able to send positioning signals accurately which causes your car to not speed up beyond a point of pressing the gas pedal. If the accelerator pedal sensor isn’t working as it should, it would give out incorrect reading to the car’s computer. In such cases, because the sensor is bad, depressing it would sometimes give out delayed or a burst of varying signals, which your car’s computer tries to accumulate and use to adjust the mixture. Often times, your car’s throttle position sensor is at its failing stage but the effects aren’t obvious to you. You may not be noticing a delayed response from the pedal but if you see low gas mileage, it could mean that the car’s throttle position sensor is working but not as accurate as it should. 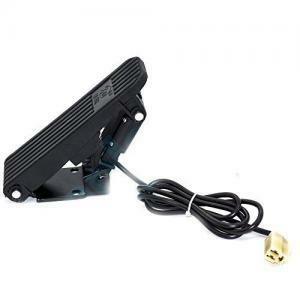 What is an Accelerator Pedal position sensor? A driver continually depresses the accelerator pedal giving it the varying amount of pressure which determines the speed at which the car moves forward. The TPS sensor and the accelerator pedal sensor tracks the movement of the gas pedal which sends signals to the car’s computer. The computer then uses that information to adjust the air-fuel mixture according to the gas pedal position, current speed, the air temperature, MAF reading, and RPM. The result is a smooth and responsive drive. Some cars use both an accelerator pedal position sensor on the pedal and one TPS sensor on the throttle body, while some cars do only have a TPS sensor on the throttle body. The importance of a TPS sensor can be emphasized as it can affect the gas mileage and engine response. A TPS sensor may fail at once or gradually and will require to be replaced in either case. A car’s fuel economy can drastically be affected as a result, and it could even prove to be hazardous to drive a car with a failing throttle position sensor. It can be extremely dangerous to drive with a failing TPS sensor as, under certain circumstances when you need to take over another car or maybe a truck promptly and you realize your car isn’t responding as quick or not at all when you press the gas pedal. Modern cars are equipped with safety measures and backup systems along with sensors and computers because electrical components can often go bad all of a sudden. Vehicle manufacturers have come with a safety measure which is called ‘Limp’ mode, in case any of such sensors go bad. The Limp mode is automatically engaged when the car’s computer detects a sensor failure or unwanted reading levels. This mode allows the driver to at least be able to safely get off the highway or busy road and pull over to avoid any mishap that might be imminent due to the unusual behavior of any of the sensors in the car. Although if you experience any of these symptoms with your car, you should get off the highway as soon as you can because malfunctioning computers can do things you don’t want them to do and in case of a vehicle, that could prove to be extremely dangerous. It is extremely dangerous and risky to drive with a failing throttle position sensor or accelerator pedal position sensor because the faulty sensor could potentially cause the car to accelerate on its own. It is better to get your vehicle towed to a mechanic rather than having it driven all the way there. Unfortunately, these sensors are almost impossible to repair and often need to be replaced and cannot be repaired. But even the replacement isn’t that simple in most cases. 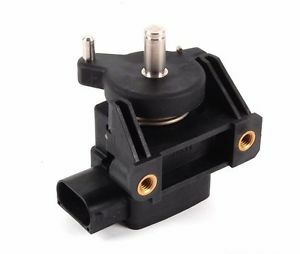 The new throttle position sensor does often have to be synchronized with the car’s management system. Consult a certified and experienced mechanic for the job. Because the accelerator pedal sensor is an integral part of a vehicle, its job is critical, and while these sensors don’t go bad so often, these can be expensive to replace. And also hesitating or jerking on uphill area and also I feel on slow running when I cross speed breaker my car takes 2 to 3 jerks and then smooth.and also takes jerks during smooth running when I cross theother vehicle and press sudden padel for speed up then jerks . To me, it sounds like a lack of fuel pressure issue. Is there by any chance you can fit a mechanical fuel pressure gauge to see it while driving to make sure that the fuel pressure is not dropping? Do you have an automatic or manual transmission? If it’s an automatic, that one could cause the jerks, but if it’s a manual gearbox it will most likely not cause the jerks. Check if there is any water on the floor mat while it’s raining, if this is the case there might be corrosion inside the connector to the accelerator pedal.